Our mission to provide high quality music education to people of all ages, interests, abilities, and backgrounds is best understood by hearing stories from our students. 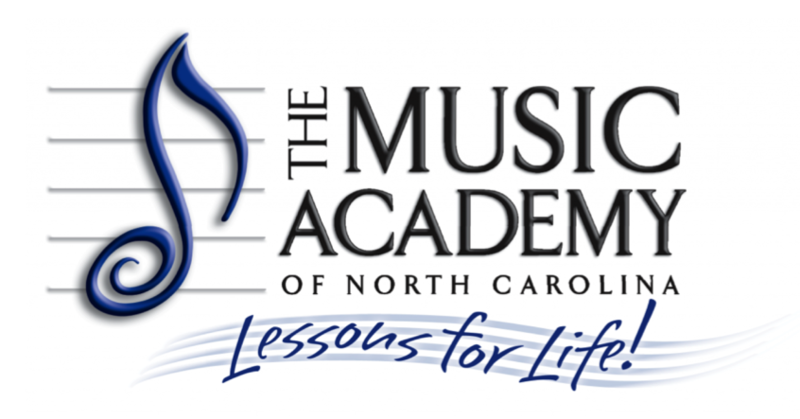 If you have a story you’d like to share, please contact our Director of Community Engagement, Stephanie Foley Davis at sfoley_davis@musicacademync.org. I remember my mother pointing out a boy playing a violin at church one Sunday, and telling me I was going to play something like that, except bigger. I couldn’t quite comprehend how you could prop something much bigger under your chin, but I believed her, and when I was told few weeks later that it was time for my first cello lesson, I thundered down the stairs in excitement. I was five years old. I’ve been taking lessons here at the Music Academy ever since. It wasn’t always easy. In middle school I often wanted to quit, but my mother persevered and made me continue my lessons, join different strings groups, and even leave my much-loved school for a year to attend an arts magnet school. I didn’t understand why she kept at it so much. Cello was nice, but I would rather do other things, I told her. Anyway, I really wasn’t that good. Finally, though, as I got into high school I began to understand. I would be practicing, under duress, and at the end of the piece one of my parent’s heads would pop around the corner. “That sounded really good, Alice,” they’d tell me, and I’d know by the look of surprise that it wasn’t just the obligatory parental encouragement I’d been hearing all my life. I would grin, and play the piece again. And lately, I’ve begun to discover it also. I’ll hear a note ring, or a melody build under my fingers, and I’ll realize. I’m not just playing the cello anymore. My cello and I are making music. I play at church sometimes now, and when people come up to thank me later, I know what they mean when they tell me how much they love the cello, because finally, I do too. I know why this was worth it to my mother. All her persistence, which I hated at the time, was a gift. But even now, it is not necessarily easy, just complicated. About a year ago I started to work on the Prelude to Bach’s first cello suite, and by this point that piece has become a person to me. It’s absolute genius, and I have a great love for it which is strong and unrequited. As much as I try I can never seem to play it as I want. This doesn’t mean I haven’t performed it, because I have: at recitals, at parties, and even at a One City, One Book planning meeting. Yet it continues to frustrate me. It taunts me with my inability to match the music issuing from my strings to the rhapsody in my head, and I pick up my bow and fiercely try again. The other day a friend who saw me play it told me that at that moment I was the most serious she had ever seen me. It’s true. The Bach and I have serious relationship. One that’s rather fraught with tension. I will not give up, though. Of all the melody, harmony, and resonating chords in the world, a tiny corner of it belongs to me. I have music in my fingers, all my own, to share. Much of that is due to this place, and the people here. Kellie Burgess has been my teacher for almost thirteen years now. Since I’ve known her she’s gotten engaged, gotten married, and had two kids. Since she’s known me, I’ve, well, I’ve grown up. From five to eighteen is a long way. There has been a lot of music, but for years now in our lessons, we talk as much as we play. She’s my friend. She puts up with my tears, and lets me babysit her kids. Who could ask for better than that? Also, I love the Music Academy. It is, after my home, one of the places I feel most comfortable. It is filled with familiar faces, comfortable couches, and leaking music. My choir teacher at school has a huge banner in the back of her room which says “Home is where your song is!” And that’s true, this is home. But I plan bring that song and my cello along to college next year, and wherever I end up after that. On her 86th birthday, Dorothy Zachary rediscovered a part of herself with the help of three generations of Zachary women, and a cello teacher at The Music Academy of North Carolina. Growing up in Joliet, IL, the young Dorothy Daniel was surrounded by music, both at home and at school. She learned to play the piano, and in middle school, began studying the cello. She was soon diligently playing in her school orchestra, cello quartet, pit orchestra, and string ensemble. While she never owned a cello, by her senior year of high school, Dorothy was 2nd chair and the Secretary of the Orchestra. After graduation, she continued performing with the Joliet Symphony, and later studied piano at the American Conservatory of Music in Chicago. While this huge extracurricular load seems time consuming enough for anyone, Dorothy was also an accomplished competitive swimmer. Swimming eventually brought Dorothy to her one true love, Richard ‘Zak’ Zachary. They married in February of 1948 and went on to enjoy the quintessential American life. The family relocated to Los Angeles, where Dot became a busy homemaker, active in her children’s dance and music activities, and accompanying various musical performances at the local schools. Although the Zachary family continued to thrive musically, Dorothy put her dreams of returning to her musical studies aside while focusing on her children and working for the family business. She never quite found the right time to study the cello again. Six years ago, Zak and Dot relocated to Greensboro, and three years ago, Zak passed away. Since then, Dot has suffered from a broken heart, having lost her life partner shortly before their 60h anniversary. As Mindy recalls, “Mom and Dad had the perfect marriage – they were best friends. Loving and affectionate up until the day Dad died.” Mindy further explained that Dot had spent so much of her life in a loving and committed partnership with someone that she didn’t know what to do with herself when Zak was gone. This year, for Dot’s birthday, the Zachary girls schemed to come up with an incredibly meaningful present. They had heard stories about Dot’s former cello studies and knew that music was an important part of her past. On a Friday in late July, four generations of Zachary women showed up at The Music Academy. Walking in and looking around, Dorothy assumed that they were going to watch her great-granddaughter, Cecelia, during her first music lesson. Dot was confused by the full-sized cellos she spotted when ushered into a string studio by faculty member Lena Timmons. That was when the girls explained the cello lesson wasn’t for CeCe, but a birthday present for Dot. Throughout the course of an hour, Lena guided Dot through a handful of songs, and watched as the memories coursed through her. By the end of the lesson, a short performance for the family left everyone in tears. In the past, Dot has told her children that she believes her life really began when she married Zak. But Dot’s music lesson brought back a love of the cello and passion for performing that had existed long before meeting him. Mindy writes, “…this reminded her that she truly did have a life ‘before’ and now she has a life ‘after’ our dad.” The memories of all those years performing and playing the cello had found their way back to Dot. She left The Music Academy that day feeling stronger, prouder, and with a renewed sense of who she was, and who she could be – without Zak. Not long after joining the piano faculty, I was assigned a new student named Linda. I’ll never forget her first lesson. You might already be picturing a little girl excited to begin her lessons, but Linda was a sweet 88-year-old lady who had played competitively as a teenager 75 years before that first lesson with me. She began her lessons in January, and it was a cold morning. I greeted Linda at the front door and walked her to my studio. She never stopped shivering, although she was wrapped in a coat and scarf from head to toe. We never actually made it into the studio – she asked me to sit with her in the hallway and talk. She told me how much she had loved being a pianist as a young girl and how she missed playing. Folks, it doesn’t matter if you’re 11 or 88, it feels amazing to realize you’re good at something and to know that someone else recognizes it.